Plywood is an incredibly durable material, but it can be damaged. 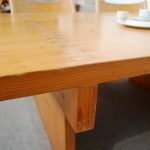 If a heavy item has been dropped onto the floor, or a piece of heavy furniture has been sitting for a long time, you might find yourself needing to remove a dent from plywood. Luckily, it is fairly easy to raise a dent, leaving the wood surface looking and feeling smooth once again. 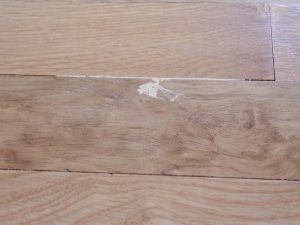 Here are two simple methods for removing dents from plywood. Hot water and a clothes iron or soldering iron can quickly and easily remove a dent from plywood. This method also works on other types of wood. Note that this method works really well on unfinished wood, as well as on wood and plywood that has been finished. 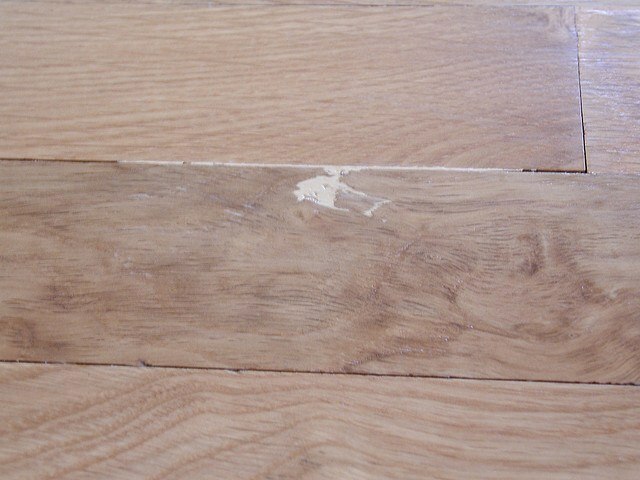 If the wood finish is a very heavy one, you may have to try another repair method. 1. Begin by heating the iron, using the hottest setting available. 2. While waiting for the iron to heat, cover the area surrounding the dent with the rags or towels. This will help protect any finish, and it will prevent you from inadvertently delaminating the plywood. 3. Use the eyedropper or spoon to drip a small amount of water onto the damaged area. 4. Barely touch the hot iron to the water so it sizzles. 5. Repeat step four. You might need to do this several times. 6. Lightly run over the area with the sander, with power turned on. The vibrations from the sander will help the wood fibers come back to their original positions. If you don’t have a sander, you can tap on the area with your hand. Tap quickly and lightly for best results. This method works best on finished plywood pieces such as cabinet doors and furniture. Note that precision and patience are required. Consider practicing the method on an unimportant wood scrap before using it on the actual damaged item. Before you get started, take a look at the side of the plywood if possible, so that you can determine the depth of the layer that sits just below the veneer. 1. Slowly and carefully drill into the back of the plywood, right behind the dent. 2. With the finish nail, slowly apply pressure to the exposed veneer layer. It probably won’t take much pressure at all. Keep checking the damaged surface to see if the dent has come out. 3. Once the dent has been removed, fashion a plug with matching wood and gently tap it into place. 4. If you don’t have a piece of matching wood or if the drill hole you made is very tiny, fill the hole with wood repair putty. One final note regarding plywood dent removal: If the surface was damaged, or if the finish was cracked, you will need to take more drastic measures to get your wood looking like new again. Start by taking steps to remove the overall dent from the plywood, then re-finish the damaged area. If the item you’re working on has a very old finish, you may end up having to re-finish the entire thing so that it has a nice, seamless look.